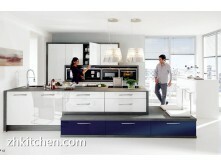 The UV kitchen cabinet is made of 18mm and UV coating. It's a surface treatment which either is cured by ultraviolet radiation. UV coatings can be formulated up to 100% solids so that they have no volatile component that contributes to pollution. This high solids level also allows for the coating to be applied in very thin films. 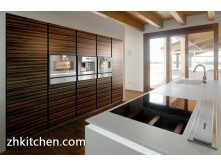 We've been putting this technology to our product line to make cabinets doors for 18 years. with constantly research and development, more than 56 colors are available. 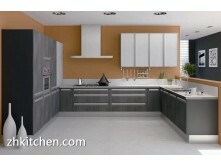 Here are the door panel color designs for your widely selection.